Karl Pilkington has experienced things many only dream of. He's gained notoriety for his pilgrimage to see the Seven Wonders of the World and to conquer the ultimate "Bucket List." But after all of that, Karl is just as annoyed and unhappy as ever. 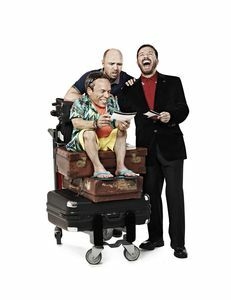 Now, Ricky Gervais has convinced Karl to embark on another ambitious expedition; from Italy to China following in the footsteps of the famous explorer Marco Polo. 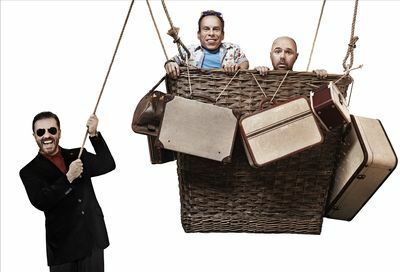 Joining Karl on the excursion is Ricky's diminutive friend-film and television star Warwick Davis ("Life's Too Short", "Return of Jedi," the "Harry Potter" franchise)-who tries to raise Karl's spirits while broadening his perspective on AN IDIOT ABROAD 3, premiering Saturday, January 19 at 9 PM ET/PT on Science Channel.